One day, brother and sister Markus and Mariana go to visit their Uncle Albert. He always has something exiting going on, but they couldn’t imagine that he would build his very own spaceship. Suddenly the three of them are shooting out into the universe, heading for Mars. 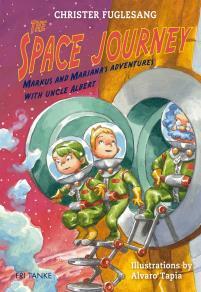 The adventures on their space journey are beyond their wildest dreams.